Sligachan Bridge and cloudy Black Cuillins in sunset light, Isle of Skye. Skye has made it back onto one of the world’s most prestigious travel lists – despite being cited as “a place to avoid” by the same group in 2018. Local tourism operators welcomed the news that a visit to the Hebrides was back on American broadcasting giant CNN’s top 19 places, having “changed its tune” after putting it on the places to avoid list last year. In 2018, CNN claimed Skye was experiencing a “tourism backlash” due to overcrowding – and put it on a list of 12 places to avoid for last summer. The report prompted Kate Forbes MSP to invite the broadcaster to come to visit. And it appears the broadcaster has changed its tune, with CNN now publishing an article with Skye and the rest of the Hebrides featuring in the top 19 global destinations for 2019 – a list which includes the Grand Canyon, New York City and the West Indies. 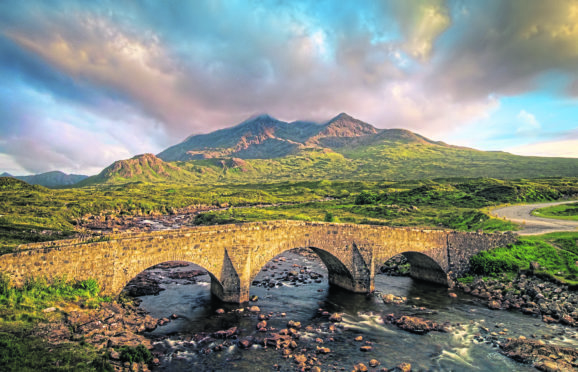 Anne Gracie, hotel owner and SkyeConnect board member, said: “We are not at all surprised that Skye has been listed by CNN as one of the top destinations in the world to visit this year. “Skye is huge island with some of the best scenery in the world. There are so many great places to explore combined with exhilarating activities, world-class accommodation, fine food, drink and entertainment. Ms Forbes added: “This is a welcome U-turn by CNN. 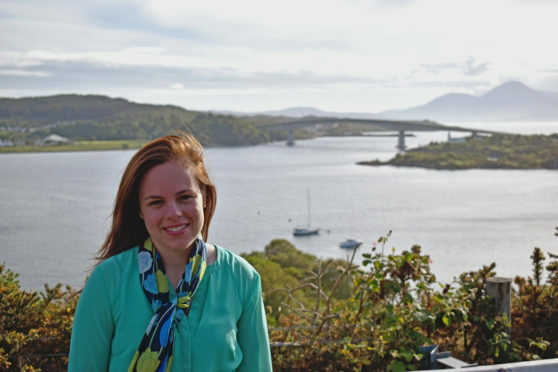 Kate Forbes is delighted CNN has decided to include Skye and the Hebrides on its 19 top destinations to visit. “When the American news outlet first published a story recommending tourists did not visit Skye, I was utterly dismayed. “For all the challenges that we face in remote and rural parts of the Highlands, the economy is fragile and small changes can have big impacts. “Tourism is a vital driver of growth, creating jobs, generating income and keeping people local. “Yes, there have been frustrations – but these are isolated to certain areas – and it would be catastrophic if tourists were told not to come. CNN highlights many of the delights of the Hebrides and encourages people to visit Skye, as well as contiuing their trip to Lewis and Harris. The report on the 19 places to visit in 2019 says: “The birthplace of Harris Tweed, the famous cloth that’s been woven, dyed and spun by the islanders for centuries, is also home to its own Stonehenge-style mystery in the Callanish Standing Stones. It also encourages visitors to use part of the North Coast 500, saying: “…it’s worth the drive to Ullapool, close to the northern tip of the Scottish mainland, and the 2.5-hour ferry across a choppy stretch of the Atlantic to explore these islands.